SSC Result 2019 Education Board? 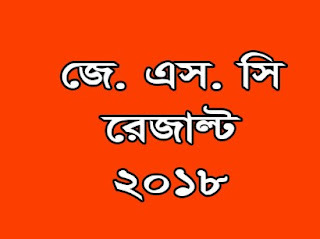 SSC Result 2019 the Bangladesh Education Board will publish after the 60 Days of finish the SSC Exam. In 2019, The SSC Exam Started on 1st February 2019 and it will continue until 8th March 2019. After the Theory Exam complete, Practical Exam will start immediately. The Calculation shows that the SSC Result 2019 will publish on the Middle or the last week of May. Here we are providing you a complete solution about the SSC Exam Result 2019 Publish Date and all available ways to collect Results easily and quickly. Just Read the below data to get More Query about the SSC 2019 Whole process like Routine, Exam, Suggestion, and Result. SSC exam is the Biggest Public exam in Bangladesh. There are too many Students attend the SSC Exam per year. One Madrasah Education Board, Eight General Education Board and One Technical Education Board Maintenance the SSC Exam. The name of the SSC and Evolution Exam is Different. The General Board is normally known as SSC Exam. The Madrasah board exam known as Dakhil and the Technical Education Board is known as SSC Vocational. Result Collection process of all Education Boards are similar but some difference available. It is very easy for all stage people to get their SSC Result 2019 of their Exciting Board very fast in numerous ways. Here we will describe all process for collecting the SSC Exam Result 2019. Which system of SSC Result collection you may interest? A large number of examiners and their guardians like to get the Result from the Internet. It is Free and easy. Just visit the Education Board Result Portal to get your Result. The Education Board BD Result Portal Official Like is www.educationboardresults. gov.bd. After visiting this like, follow the Instruction to get your Results super-fast. Here the Instruction means the Result type like SSC, SSC Vocational or Dakhil. Then Select your Education Board Name. Then enter your Roll Number, Select the Passing year and click on the Submit button. You can also get your SSC Result 2019 by Mobile SMS. Just go to your Message option and type SSC <space> 1st Three Letters of Your Board Name <space> SSC Roll Number <space> Your SSC Passing Year 2019 and send the message to 16222 from any Number. After Successful Sending, You will charge BDT 2 with 15% VAT and 3% SD. Example: Type SSC DHA 678990 2019 to 16222; here DHA= the 1st Three Letters of Dhaka Education Board Name, 678990= Examinee SSC Roll Number, 2019 = SSC Passing Year. Android Smartphone Users can get their SSC result 2019 with their Android Mobile Apps. Just Run the Apps and follow Instruction. If you don’t have the Android Application pre-install on your Device. Go to Google Play Store and Install it. It is fully free. Do you have any Question about the SSC Result 2019? If you need to know something more which info not available in this Article, Please ask us by Comment box. We’ll try to add this information to this content. Thank you for staying with us.